In a landscape dominated by fields of corn, soy, milo and hay, the rolling plains of Kansas are a classic example of America’s Breadbasket at work. Yet Monty Teeter, CEO and founder of Teeter Irrigation Inc., says the real source of the state’s economy is hundreds of feet below the ground in the form of the 174,000-square-foot Ogallala Aquifer. “In southwest Kansas, everyone’s livelihood depends on water,” Teeter says. A Ulysses, Kansas, native, this simple fact motivated Teeter to start Teeter Irrigation in 1977. In doing he began supplying Kansas farmers with irrigation products, maintenance services, underground installation, welding and meter repair services. “We’ve wasted so much water in the past, depleting a resource that took thousands of years to get there. 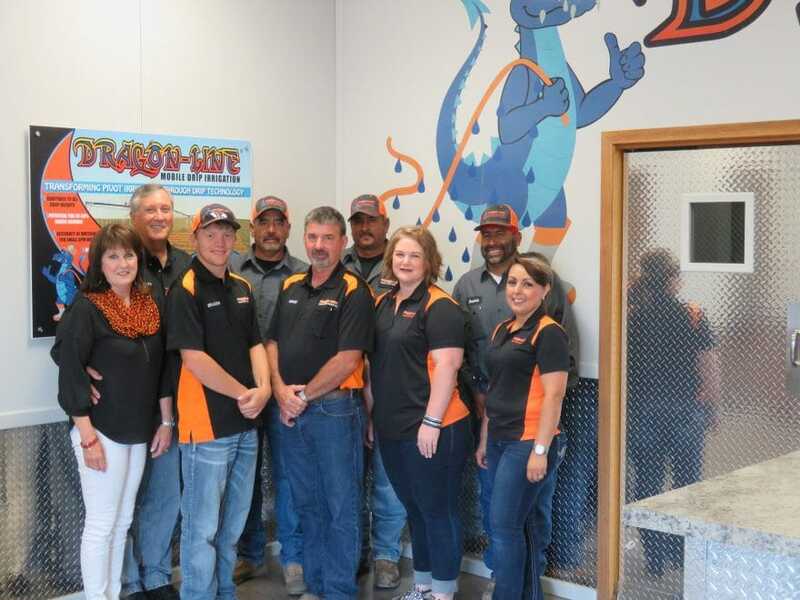 The purpose of our company is to make every drop count from here on out,” he says. 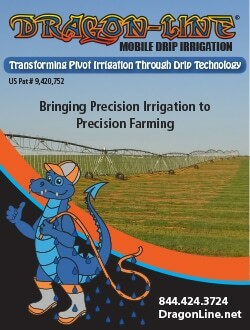 In 2014, Teeter launched Dragon-Line LLC, a company devoted to distributing the Dragon-Line irrigation system that combines traditional center pivot irrigation with drip technology, to further that goal. “In nutshell, what we have done is bring precision irrigation to precision farming,” Teeter says. Today, Dragon-Line is marketed in 48 U.S. states and Teeter is in the process of exploring international markets, shipping systems to arid countries that include Saudi Arabia. It was even named Product of the Year in the agricultural division at the 2016 Irrigation Show in Las Vegas, for its potential to help farmers cut 20 to 50 percent of their water usage. “The problem with traditional sprinklers is if the droplets are too heavy it impacts the soil, but if you have too fine of drops they blow away in the wind, accumulate on leaves and eventually evaporate,” Teeter says. Dragon-Line apparently eliminates both problems by dispensing water in slow, steady amounts as the line is dragged over the soil. With many irrigation systems inadvertently sealing and compacting the soil surface through the pressure of water being applied, Teeter says the slow drip of Dragon-Line allows the soil to stay aerated and pull the water in. There are additional benefits beyond water savings, Teeter says. Because water is not pooling on the soil surface, runoff is less of an issue. Crop’s leaves and foliage remain drier than comparable application methods. Dry leaves also lessen the ability of insect infestation, leaf burn and plant shock from sudden temperature changes. Farmers can also use Dragon-Line to precisely apply water-soluble crop nutrients directly on the soil, cutting down on their use and unintended spread, as well. Teeter says the use of fertilizer and herbicides can be cut by as much as 10 to 20 percent. This keeps chemicals and harmful water buildup off the foliage. 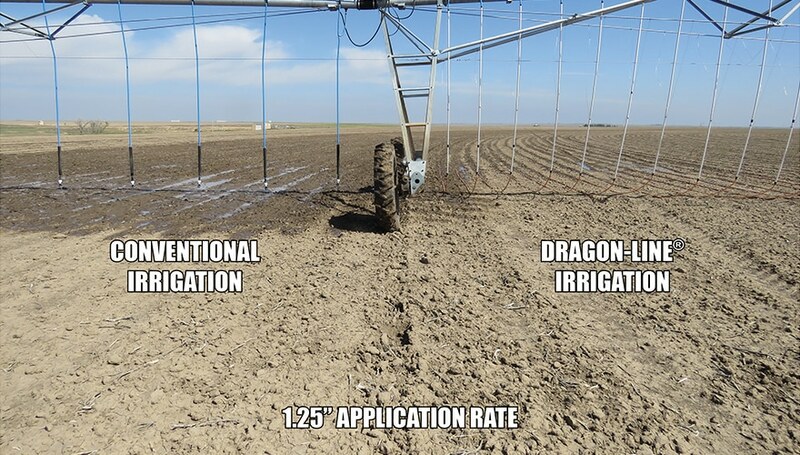 Finally, the Dragon-Line system is purported to eliminate wheel track issues and contribute to an overall drier field, making it easier for farmers to maintain their pivot systems. “Whenever you have your pivot running in the mud, you have dirt all over your drive components and axles, but you’re also using more power to drive it through the wet ground,” Teeter says. In addition, because pivots operate on precise timing, farmers won’t have to calculate for slippage from a muddy track. With Dragon-Line, the entire mechanism stays cleaner, allowing farmers to check and repair the system in significantly less time, hassle and, best of all, without the mud, costly wheel track repairs and damage to farm equipment. Teeter points out that concept behind Dragon-Line appeared many years ago, but it was far from perfect. 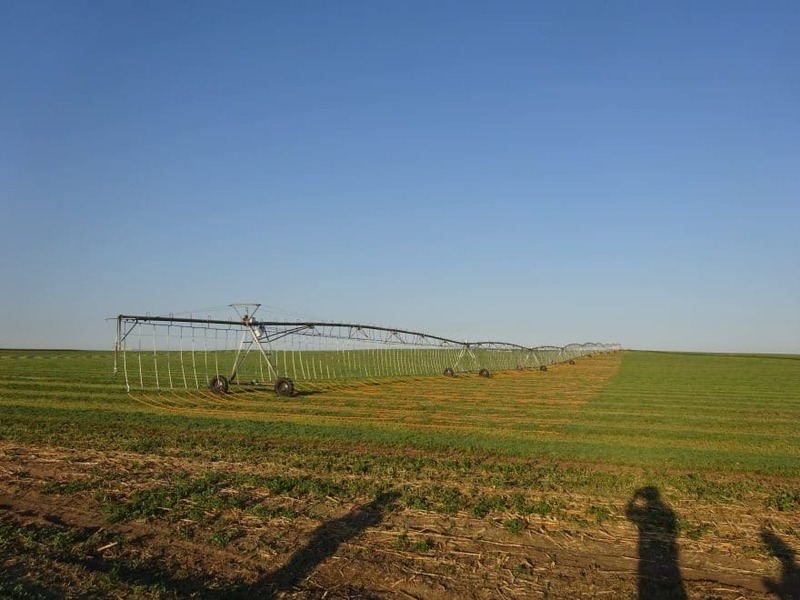 “I knew it wouldn’t work because most drip systems are made for real low volume application over a large area, and when we started using the pivot, we needed to flow more gallons in a shorter period of time and spread it over the ground,” he says. By the time Teeter and his team developed the system that would become Dragon-Line, in 2009, pressure compensating and self-flushing emitters had been created that could handle the larger volumes of water. Today, Dragon-Line is available in 2 GPH emitters on 6-inch, 12-inch and 18-inch interval spacing. Since then, Teeter has spent years negotiating with manufacturers and challenging naysayers who said the system could never work, the plight of his home state always in the back of his mind. Teeters says a water hydrologist once said that if Kansas farmers saved 25 percent of their water today, the Ogallala Aquifer could last a good 30 years longer.